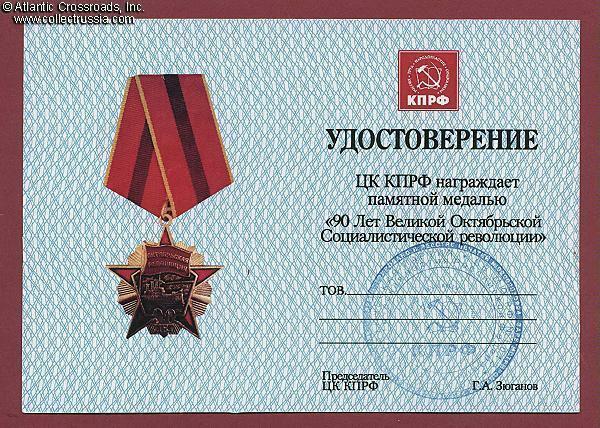 Unissued award certificate for Medal for 90th Anniversary of the Great October Socialist Revolution. 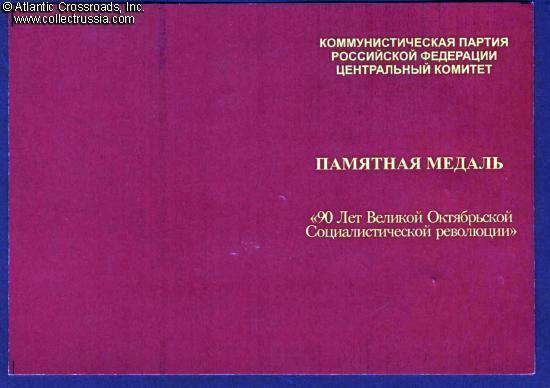 Unissued award certificate for Medal for 90th Anniversary of the Great October Socialist Revolution. Alternative medal. Naturally, this medal was not approved by the President of Russia and therefore has not become a part of the official award system of modern Russia.